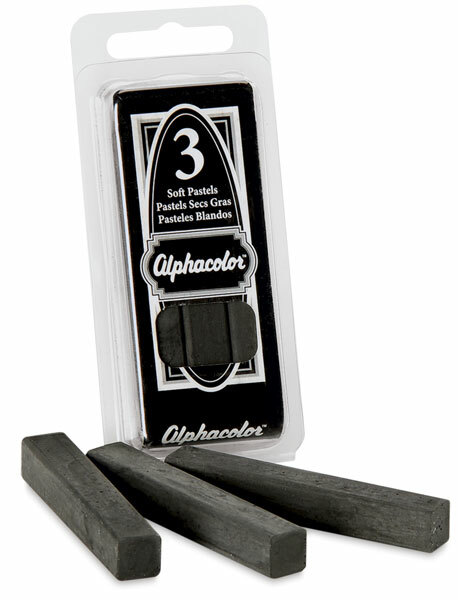 This excellent quality, rich, black charcoal blends smoothly and is free of hard spots. Non-toxic. Individual sticks measure 2-3/4" × 7/16" square (70 mm × 11 mm).